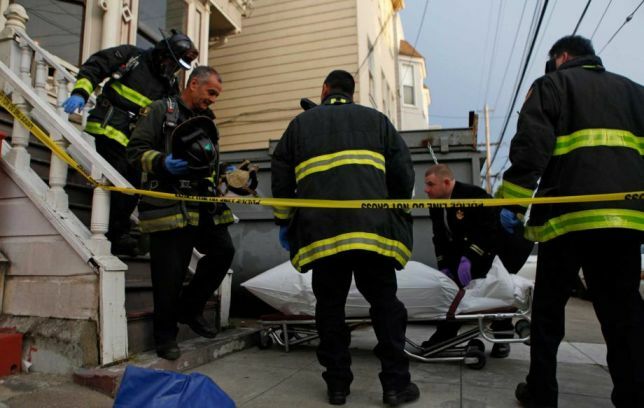 San Francisco Gate, April 6, 2015: San Francisco fire officials removed a body Saturday evening from a home on Fourth Avenue in the Richmond District, three days after authorities were alerted to debris stacked so densely inside the property that entry to the front door was almost entirely blocked. 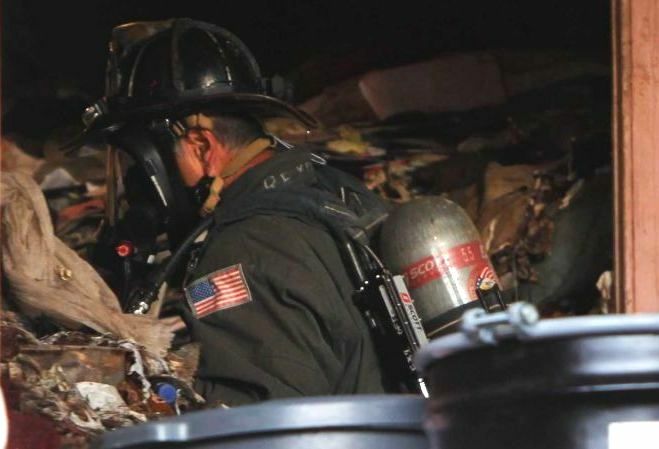 Firefighters wearing oxygen masks went in through a front window, wrapped the body in a white sheet, and placed it onto a gurney before carrying it away. 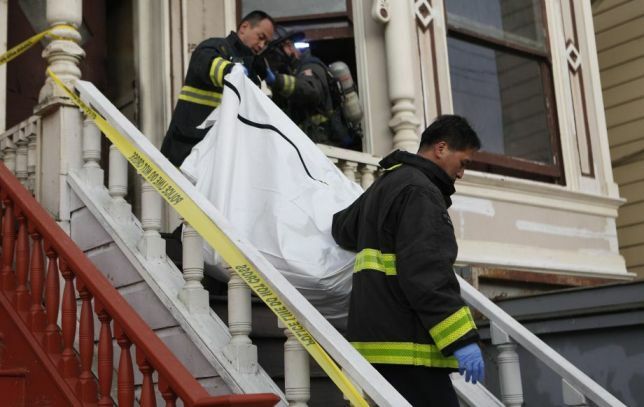 “It’s mummified, lightweight, wrapped in a blanket,” one of the firefighters was heard saying to a San Francisco medical examiner’s official. 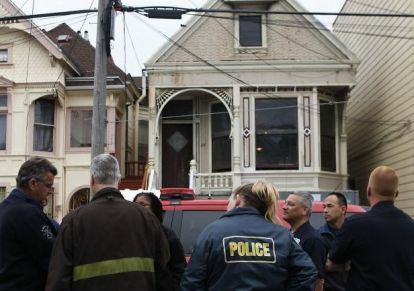 San Francisco police, fire and medical examiner’s officials all declined to comment on the case Saturday night. Neighbors described how authorities first visited the home on Tuesday. What they found behind the closed curtains at 152 Fourth Ave. was a mess so extensive, “It was 'Hoarders 101,’ or even worse than the TV show,” said one neighbor, who declined to be named. A homemaker who lives two doors away said a woman named Carolyn lived at the home with her elderly mother and with a dog that she took for daily walks. The mother had not been seen for several years. The homemaker, who also declined to be identified, said a man living in an in-law unit at the house was informed on Tuesday that the property was in foreclosure and that the younger women — Carolyn — would be taken to a hospital. Authorities did not identify the residents and would not confirm if the body removed from the home was that of the elderly mother. Another neighbor, a lawyer who would identify himself only as Michael, said employees from the city’s Department of Public Works arrived Wednesday and began removing debris from the home, filling several trash bins before seeking assistance. “A police officer outside the house told me they’d found rats, black widow spiders, 300 bottles of urine and mold on the walls and they felt they were in over their heads,” he said. A professional debris removal team was called in, he said. The home, built in 1904, is listed as being owned by Anna and Archibald Ragin. A man who works at Third Avenue Market in the neighborhood said Archibald Ragin died years ago. The man, who identified himself only as Tony, said Carolyn told him she was a retired Pacific Bell worker. For years, she came in daily to buy snacks, but she stopped about a year ago. When he saw her recently on the street, she had become thin and told him she was very sick and didn’t want him to catch what she had, he recalled. Hoarding disorder is a persistent difficulty discarding or parting with possessions because of a perceived need to save them. A person with hoarding disorder experiences distress at the thought of getting rid of the items. Excessive accumulation of items, regardless of actual value, occurs. Hoarding often creates such cramped living conditions that homes may be filled to capacity, with only narrow pathways winding through stacks of clutter. Some people also collect animals, keeping dozens or hundreds of pets in unsanitary conditions because they can't care for them properly. Hoarding ranges from mild to severe. In some cases, hoarding may not have much impact on your life, while in other cases it seriously affects your functioning on a daily basis. People with hoarding disorder often don't see it as a problem, making treatment challenging. Hoarding disorder is different from collecting. People who have collections, such as stamps or model cars, deliberately search out specific items, categorize them and carefully display their collections. Although collections can be large, they aren't usually cluttered and they don't cause the distress and impairments that are part of hoarding disorder.